Prague City Line » Coronation of the most famous Czech King – Charles IV. The first royal crown which later became the crown of the Roman kings Charles IV. acquired in 1346. It was originally meant to serve for his private purposes only and he let it later remake for the state purposes. In August of 1346, on the day of his father´s John of Luxembourg´s death, he became the king of Bohemia. 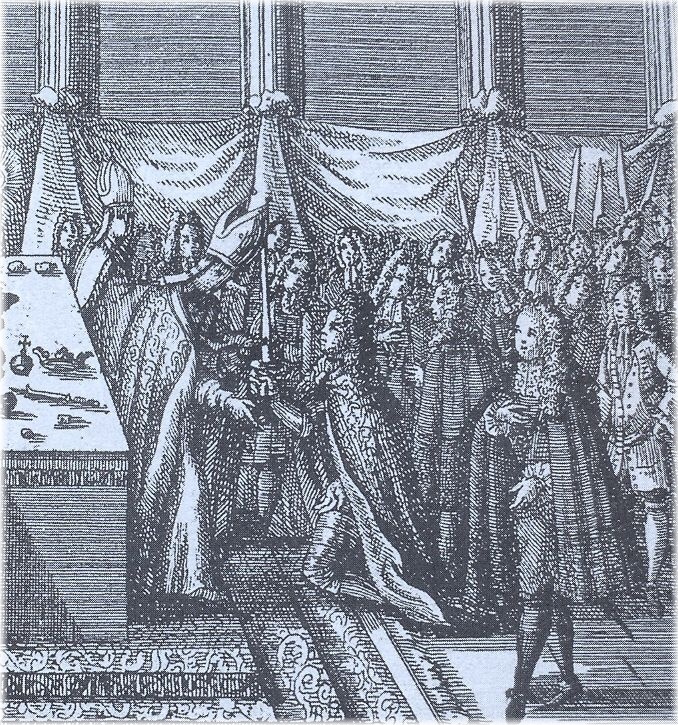 The new sovereign had started to prepare for the festive coronation several years before. So he learned about the Czech coronation rules, about the duties of the king of Bohemia and he was also interested in the distinctions between the rules of the Roman and Bohemian kings. 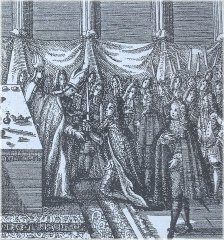 Before the commencement of the coronation on September 1st, 1347 Charles, the highest land dignitaries and honourable guests left for Vyšehrad. In Vyšehrad he festively accepted the sacred royal remains. After the fashion of Přemysl the Ploughman he was wearing the bast shoes and a peasant bag. Then he mounted his horse and at the head of the procession made for the St. Vitus Cathedral. Next day he left early in the morning together with the dignitaries for the St. Vitus Cathedral where he festively swore an oath. The coronation mass was celebrated by the first Prague archbishop Arnošt of Pardubice. Before the final reading of the gospel the archbishop anointed Charles IV. with sacred oil, then they dressed him into ermine cloak and the archbishop passed a sword, the sceptre and the imperial apple on him and he festively placed the newly made crown of St. Wenceslas on his head. He was crowned together with his wife Blanca de Valois. Charles IV. 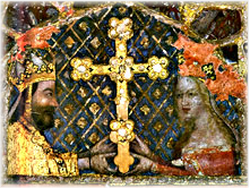 herewith became the king and his wife the queen of the Kingdom of Bohemia. There was a timber house built in St. Gall´s Market where the festive coronation feast took place. People were feasting, drinking wine and they and were having a good time. The place around the feast was richly decorated by coloured silky draperies. Charles IV. later presented the coronation crown to St. Wenceslas, the patron of Bohemia. Further he appointed that all kings of Bohemia and successors of Charles IV. should be crowned by this crown of St. Wenceslas.